These spa party tips and ideas will have your guests kicking back and enjoying their relaxing getaway. To create pre-sparty excitement, be sure to send out fun invitations. 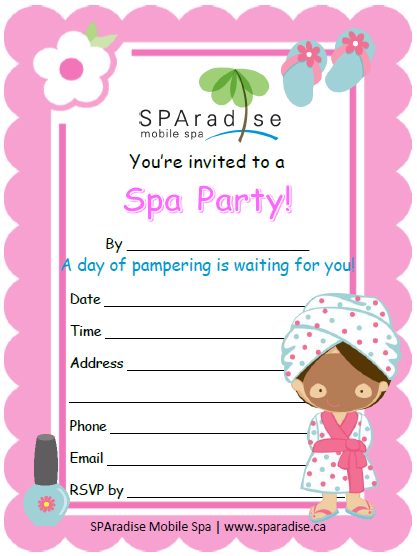 Download and print out our free invitations, fill in your information and then give out to your friends to invite them to your spa party. To express your appreciation, download and print out our free thank you cards. To decorate your cupcake, download and print out our cupcake toppers. 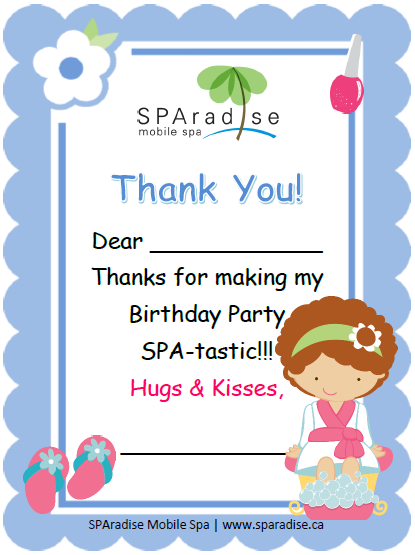 To decorate your home, download and print out our spa party signs. Make a decorative sign to put on front door that identifies your "spa." Decorate your cupcakes with our free Printable Cupcake Toppers. Glitter Tattoos are the hottest body art form in the world today. It is a fun way to entertain guests in parties and events. Even Hollywood celebrities are loving the sparkle on the red carpet! Our Glitter tattoos are waterproof, dermatologist tested and last up to 7 days. They are well loved by the young and young at heart! Add a Tattoo Station to your party! Fill party bags with the bath salts and glitter lotions the girls made. Add hair clips, nail polish and a hand lotion. It's a special way to say "Thanks for coming to my party!" Here are some great ways to keep your guests busy and entertained at your spa party. Cupcakes are all the rage in birthday party desserts right now. 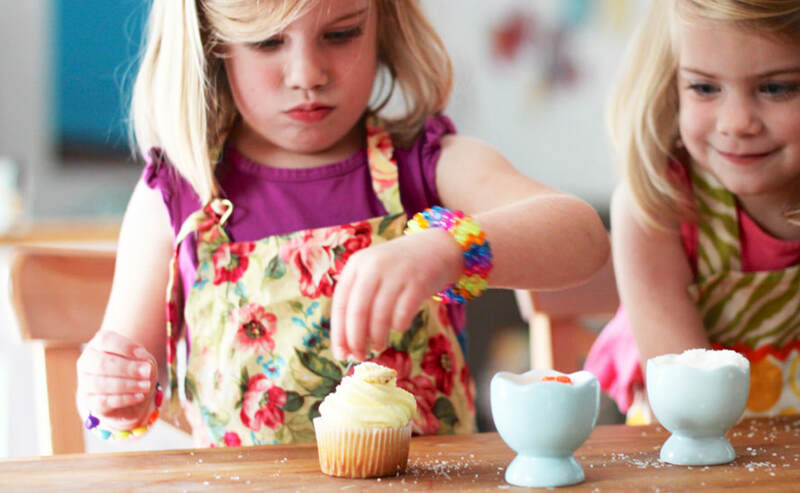 Bake some cupcakes, and let the girls decorate their own cupcakes. It's fun, creative and addictive! Put their favorite movie on and keep them busy while waiting for their turn to the spa pampering. to the next guest, and so on, until the message goes all the way around the table. The last person says the message out loud, and then the birthday child says the original message. Expect laughs from the whole group when they hear how much the message has changed. A great way to finish off your spa day is for everyone to have a big sing a long. Rent a karaoke machine and let them perform like their superstars.